Jamie M. Gold, a man of many faces, was born on August 25, 1969. He and his mother moved to Manhattan, then New Jersey, when he was still little and his mother was remarried to Dr. Robert Gold. He went to the State University of New York, and then went on to UCLA in order to study entertainment. After he struck out on his own, he moved to California where he became a television producer and talent agent. His life has been full of surprises and controversy, and not because of his career, more so due to his poker passion. His mother was a pretty good poker player and his grandfather was even a gin rummy champion, however that is not what sparked his interest in trying to make a name for himself as a poker player – a poker professional player. Gold is not just a poker player, since he also has a job as an American TV producer and talent agent. He did not start out trying to become a well-known poker player, even though his personal history would have you think otherwise. As he was working with several poker pro’s, Johnny Chan and Chris Moneymaker, on an upcoming TV show, he began to increase his poker skills by playing recreationally. By 2005, he was already playing in many tournaments where he had won eight money finishes, with a tournament win in April of 2005; at this particular tournament he went home with over $54,000. As he played more, he started to develop his own playing style, which other players did not like at all; his playing style became an art form and was showcased at the 2006 World Series of Poker tournament. The World Series of Poker No Limit Hold’em World Championship of 2006 is where Jamie Gold made his fame and fortune; he even made a few enemies at that time. During this tournament, he managed to outlast 8,772 other players when he finally got to the final table. The final table, except for one player, was full of people that had less experience winning at final tables than Gold. This was a great advantage, mixed with his powerful playing strategy; he won the 2006 WSOP tournament. He won a grand total of $12,000,000 which is the highest ITM main event finish. 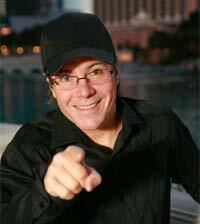 Jamie Gold has had success in both his business career, as well as his poker career. However, this great story does not come without controversy. Gold has had a very eventful past. As he was working towards the 2006 WSOP, he partnered up with Bodog Entertainment in order for his buy-in to be covered. He started to head hunt for famous people and poker players alike so that Bodog could sponsor them as well. During all of this, Gold made an agreement with Crispin Leyser in order to help with the recruiting process. The agreement was for whatever Gold won, they would split evenly. When Jamie Gold won the 12M tournament, he altered the deal and decided to keep the entire amount. It all went to court, however after about 6 months Gold and Leyser settled out of court. This scandal was not the only thing Jamie Gold was known for. His playing strategy created quite a buzz throughout his poker career. He had a very aggressive way of playing poker, a manner to which other players were not used to and thought to be too abrasive for poker. His poker strategy was to raise, and risk the other players’ stacks. Two things happened, an opponent would re-raise him and he would know they were holding good cards and folded or he would be able to detect a bluff and go all in. This playing style was frowned upon by most other players, but Gold did find solace in the fact that other poker players liked his style. Gold’s overall success is based mostly around winning at money tables, and his most notable tournament win at the 2006 WSOP. He has the $12,000,000 he won, plus any other tournaments winnings he may have. As he also works as a producer and talent scout, that also brings in a paycheck. At the WSOP he has a total of 1 bracelet and 5, money finishes. He continues to play poker and appear in shows. He has a good balance between a career and his poker playing.